BERLIN (Bloomberg) -- BMW's core brand widened its lead in luxury-car sales last month as demand for the X1 compact sport-utility vehicle and 3-series sedan and wagon helped it outpace gains by Audi and Daimler's Mercedes-Benz marque. 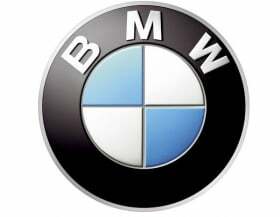 BMW-brand deliveries increased 26.4 percent to 145,452 cars and SUVs in November, the automaker said in a statement. That compares with growth of 10.9 percent to 123,600 at Audi and 5.7 percent to 120,346 vehicles at Mercedes. Even with the debt crisis depressing demand in Europe, Germany's luxury carmakers have maintained growth by tapping the United States and China. BMW, Audi and Mercedes are all targeting record sales this year, while mass-market competitors in Europe are bracing for the lowest sales in the region in 17 years. "Our attractive product portfolio continues to be in strong demand right across the globe," Ian Robertson, BMW's sales chief, said in a statement on Monday. "We are building the vehicles people desire. This puts our record sales target for 2012 well within reach and we will once again be the number one premium car company worldwide." Gains for the German luxury brands last month helped push up sales so far this year. Deliveries through November at the BMW brand increased 10.9 percent to 1.38 million vehicles Audi reported a 12.7 percent jump to 1.34 million, while Mercedes advanced 5.1 percent to 1.19 million. The Daimler unit is falling behind chiefly due to a sluggish performance in China, where Mercedes sales fell 6.6 percent last month, dragging down growth in the region for the year to 4.2 percent. BMW and Audi have grown by more than 25 percent this year in China. To revive growth in the world's largest car market, Daimler is combining two separate sales units -- one for imported vehicles and other for locally made cars -- into a single entity. BMW's sales last month were led by a 37 percent surge in demand for the X1 SUV, while the new generation 3 series, which was introduced earlier this year, climbed 36 percent. Sales of luxury cars are being pushed by incentives as the brands compete for market share. Audi and Mercedes are keen to close the gap to BMW as they both target taking the sales lead by the end of the decade. Mercedes's sales outlet in Berlin is offering 4,500 euros in addition to the value of a trade-in vehicle during December. Auto Web site MeinAuto.de is promoting deals of as much as 29 percent off a BMW 7-series sedan and as much as 17 percent off an Audi A4 sedan. BMW said in November that "intense competition" contributed to a decrease in the third-quarter operating profit margin at its automotive division to 9.6 percent from 11.9 percent a year earlier.